Upcoming concerts will focus on a diverse array of figures from throughout history. Vocális Chamber Choir pays tribute to those who have illuminated our world through their words and deeds, and have left a lasting, inspiring legacy in its presentation of Icons and Legends. Concerts are Saturday, March 9, at 7:30 p.m. at 500 Seneca Building – 3rd Floor Atrium, 500 Seneca St., Buffalo; and Sunday, March 10, 4 p.m. at Hamburg United Methodist Church, 116 Union St., Hamburg. Vocális will focus on a diverse array of figures from throughout history and discipline. Those recognized through song include Abraham Lincoln, Martin Luther King, William Shakespeare, Mother Teresa, Leonardo DaVinci and Emily Dickinson. More popular figures like Walt Disney, Princess Diana, Leonard Bernstein, Paul McCartney and John Lennon will also be acknowledged. Tickets for each concert will be available at the door one hour before the program, $15 for adults and $10 for students. 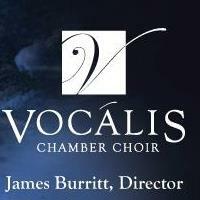 For more information, please visit www.vocalischamberchoir.org. Be the first to comment on "Celebrating the world’s legends and icons with Vocális"